Dinner: We were in Fresno during the day, so I had us go to El Pescador Seafood Taqueria (4610 North Blackstone Avenue, Fresno, CA‎ - (559) 230-1299‎) for some seafood tacos. 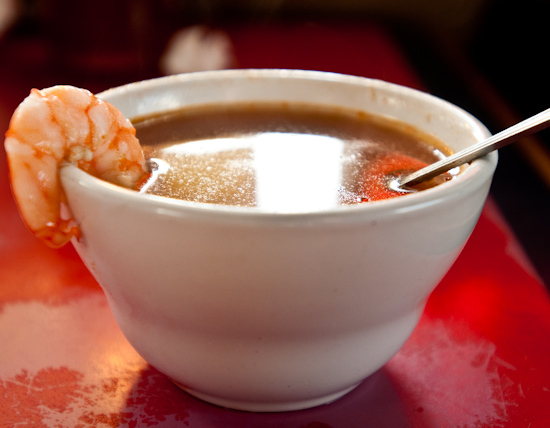 We started off with their shrimp and fish soup which was a simple broth enhanced with flaked fish and a few tender shrimp. 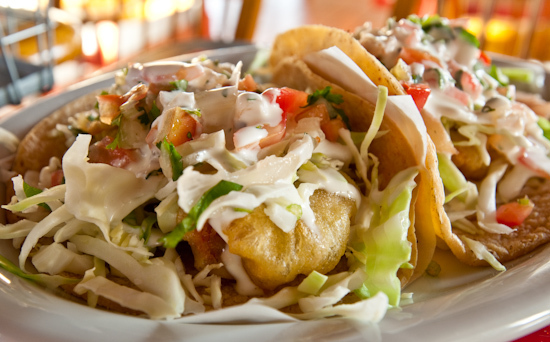 Pescado (Fish tacos) - fried fish in corn taco with a cabbage slaw. Very tender fish with a delicious lightly fried batter and refreshing slaw. The fish had a slight muddiness to its flavor that made me think it was tilapia, but I forgot to ask what type of fish it was. 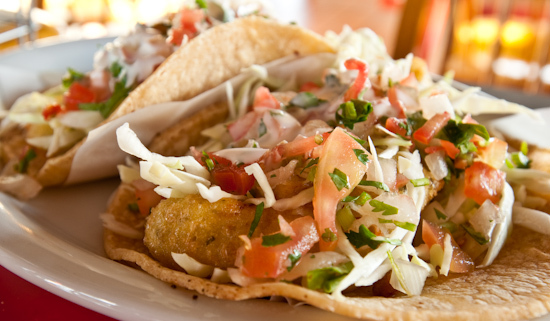 Camaron (Shrimp tacos) - like the fish tacos, but better. We really liked the shrimp tacos. Swordfish tacos - the swordfish was very meaty (almost pork-like) and seemed to carry a smoky flavor which worked very well with the fajita-like vegetables and sauce. 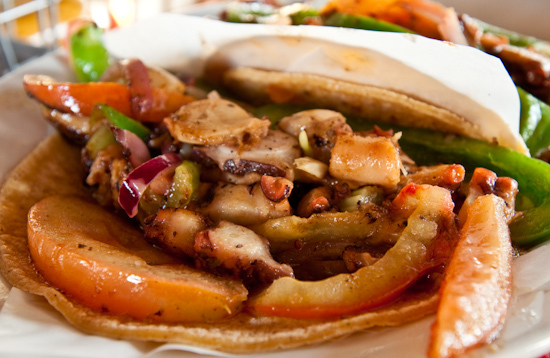 Pulpo (Octopus tacos) - I really liked the texture of the octopus - almost as soft as the scallops with a pleasant chewiness. It was a bit salty though. 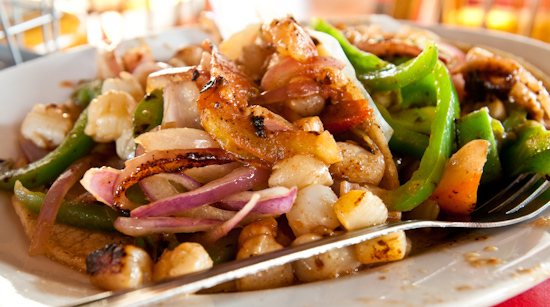 We ended with an order of chicharrón de camaron (shrimp chicharrón). 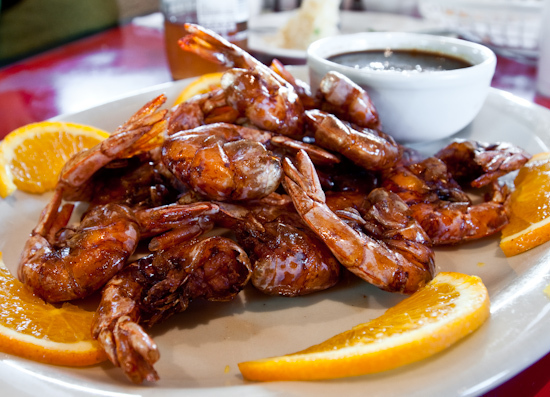 Chicharrónes are typically made by deep frying pork rinds, but these were prepared by seasoning the shrimp pin soy sauce and deep frying until the shrimp shells are crispy and edible. Since we had not had this before, we decided to try it. The end effect was not as good as we had hoped - the shells were sometimes crispy enough to eat, but the shrimp meat was so overcooked that it had lost a good deal of its moisture and shrunken away from the shells into little chewy morsels. The only other dish I can think of that is similar to this is the Chinese salt & pepper shrimp which when done correctly - which is rare - has an edible, crispy shell and still succulent and juicy shrimp. They were preparing some whole fish while we were there, so I had to take a picture. 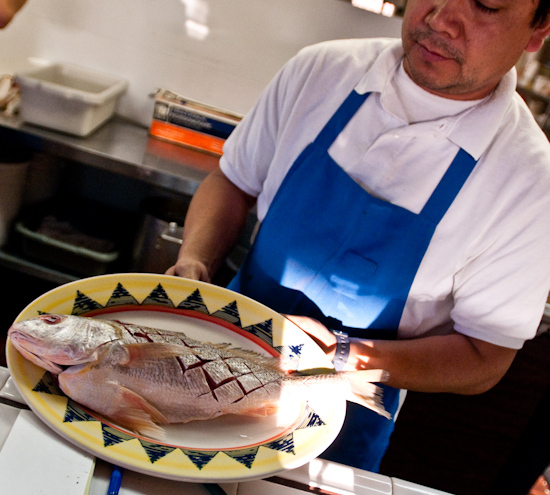 Unfortunately, we could try any of their whole fish preparations. 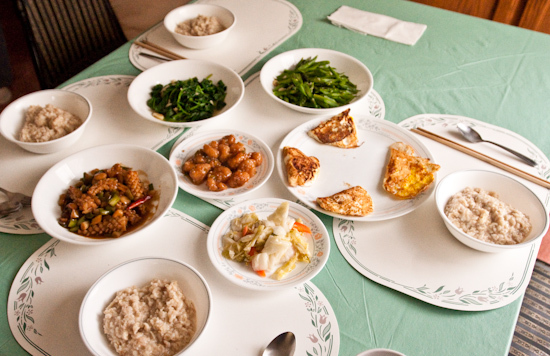 Lunch: For lunch, we ate some oatmeal porridge, fried eggs, sauteed spinach and asparagus, and the left over squid and shrimp from Yang Chow. Woo! what a feast, especially the swordfish tacos! 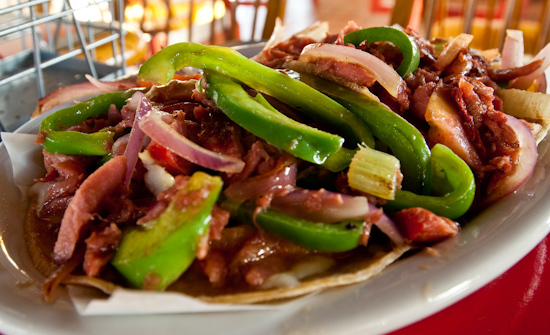 *sigh* I miss proper tacos.